When you love experiencing the pain, and a tearing apart tension to meet the die-hard challenges, it is time to play Teleglitch. You play and die not once but as many times till you don’t get that satisfaction out of it. Launched by the Paradox Interactive in the shooter genre games-style, developed by the Test3 Projects, Teleglitch hasn't compromised a little with the intensity of making the players experience the deadly horror in a cold dark atmosphere created in the virtual world. You are trapped up in a lonely planet as a scientist, realizing few moments back that there’s no other surviving soul around other than you. You can see a habitat close to you which consists of some research facility working on necrotic tissue reactivation. The entire place is now taken over by mega-corporations. The game plan of Teleglitch Die More Edition pivots around a rogue-like top-down shooter using retro pixel graphics, along with processed maps that will keep changing along with the game levels. There’s no room for repetitions and you will not find any chance for familiarity. 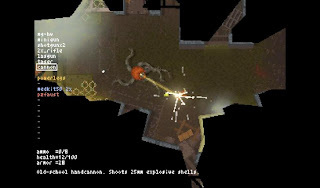 Once you are in the game, you have in front of you the only challenge of survival armed with a gun to shoot at site, passing through corridors with dungeon darkness. New rooms will keep appearing and if you feel you are aptly armed for the upcoming troubles, your thoughts are bound to be shattered. But that much assurance is availed by the game designers that you get enough stock of ammunition, including bombs, armours and med kits. 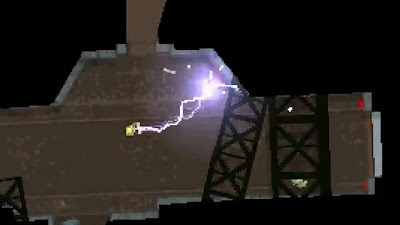 You have been given the privilege of making out a detector to indicate the approaching enemies. Teleglitch will make you experience failure at your wits end, and at times you might desperately want to come out of that dungeon horrible, but that is nothing but a trick as it will pull you again to the same unless you come out victorious. It will take a lot of pain to reach Level 5 and time isn’t a good clue to guess when you can. You would be locked up in a room with two deadly monsters continuously attacking you, and the game visuals will never let you get the feeling that it is a world outside reality. The first person visuals are that strong that you could sense the temperature and experience the spine chilling effects of horror and suspense. Teleglitch will never be a fun game if you are still in the middle of the game and hasn’t yet mastered the tools. It may at time seem monotonous as you would be continuously struggling to survive. You need to work out on a fighting strategy that will save your face and life too. There is this Outdoor training Ground, which will be a compulsory visit in each level and the zombies will reappear from different places with an art they are always associated with. There are 10 levels in Teleglitch which will stop you at 4 checkpoints. When you select one of those to start your game you’ll have to do with an assembled sort of level-fitting tools which wouldn't be an orderly choice but a shuffled one. Playing Teleglitch is always a fully satisfied experience that has all its features in place, be it the visuals, the colour effects, and the total survival strategy based game plan. It can be only said that Teleglitch is a worth playing game that will recur in your memory quite often, once you have gone through it.